Zombie Apocalypse Survival Guide| Will You Outlast A Zombie? / Zombie Apocalypse Survival Guide| Will You Outlast A Zombie? Well, it happened... It was inevitable. By the time you are reading this humanity has been overrun and overtaken by the undead in the latest zombie attack and, unfortunately, those who have never experienced death cannot live in harmony with our half-alive counterparts. You may have known this was coming, but are you prepared? Probably not. If not, then keep reading for helpful tips and tricks of the times that will keep you alive! I am here to bring to you the important zombie survival tips and tools for navigating this difficult world we are suddenly caught up in. We have laid out the best zombie apocalypse survival tips below. Nowhere to run, nowhere to hide….is what they would like you to think. First thing’s first, get out of your house. A house is the most searched location when the zombies are on the hunt for some food. If you want to survive, get somewhere without windows. Minimal entrances equal minimal deaths. For example, a dumpster. Why would a zombie look in a dumpster for food? They wouldn’t. Dumpsters are also hard enough to get into without breaking something when you’re alive. Do you know how fragile zombies are? Pretty darn fragile. You can also use the trash scent to disguise your own and throw them off your trail. Also for consideration: storage units. Storage units are the last place anyone looks for anything. How many storage unit leasers do you know who can list off what they’ve stored away? They can’t. Storage units are perfectly forgettable and therefore perfect hiding spots. They’re roomy enough for your whole team and can easily be lived in without running into space issues. They also lock which is of course useful if you have a Zombie on your tail! You have officially outsmarted the half-brained, barely conscious grave crawlers that are out for your flesh and blood. You’re probably wondering more about how you will defend yourself once your one-room dumpster abode is finally invaded. We are going to discuss the all important zombie survival tools (must haves). Don't be caught unprepared and stock up from our list of the best survival preparedness items. No, seriously. Get yourself a machete or a fighting knife. If you can also get something jagged, that could work well too. However, you may want something longer to maintain respectable distance when fighting for your life. This will allow for instant defense and the ability to take out more than one zombie at a time. But, if you are one for a good contact sport then go for a shorter, more jagged knife. This lets the sadist in your group to really feel the impact of their hit. They may also want some brass knuckles. Nothing feels better than getting your fist right in the face of the enemy. Hand-to-hand combat is normally not what would come to mind when fighting zombies but some people are into it. Finally, we must discuss firearms. These may be more difficult to hoard in large numbers. Something like an AK-47 works for those living in densely populated areas among those from the grave. Grab your gun, hop on top of your dumpster and start firing. Once you’ve exhausted your ammo, you can take a look around and see exactly just how many you managed to destroy once and for all. Of course, you have to consider what it is you will be running around with going back and forth between your dumpster, storage unit, and zombie combat. This section will discuss the zombie gear and the most effective way to carry yourself. When you’re in the middle of the apocalypse, you need to be ready for anything. Translation: all-terrain. That means you need a solid set of boots or very strong sneakers to move around in. No open-toes, ladies. That also means pants. The less amount of skin showing, the better. The world is on the brink of complete destruction so the outside world is a little less safe than you remember. When choosing pants, try for a cargo style. You’ll want multiple pockets so you can carry effective survival tools like a pocket knife and a flashlight. Also, keep a small tube of antibiotic cream and maybe aspirin. You don’t have time for injury or illness. You may also want to invest in a lock-picking kit. You never know when you’re going to have to initiate a small break in at a deserted grocery store to get some food. If you don’t have pocket space, consider a small backpack. One that will not way you down and that you can run with. Probably the most difficult decision you’ll make during the apocalypse is who exactly you want fighting alongside you. My zombie apocalypse survival team is going to be one that I am familiar with. However, sometimes friends are not always the best option. Enemies are never an option. So, who to pick? This is a strategic choice, not an emotional one. We are not picking buddies to hang with, we are picking people who could potentially save your life. Consider the right traits and characteristics: you need people who are logical, smart, grounded, and courageous. You need survivalists who have experience in the real world and can make use of minimal resources. You need people who can think on their feet. They have to make small and big decisions without getting to far into their head. Keep the team somewhat small. You cannot have a large group or that could lead to discombobulation. Things like travel could take too long and resources like food would dwindle quickly. The magic size is under 7 people. Not too overwhelming, not too underperforming. Make sure these are also people you don’t mind sleeping too close to. After all you don’t want to sleep like a zombie and be up all night due to a loud snorer in the group. Never back down in the face of fear. A zombie apocalypse is something that many have been waiting for with bated breath. And while it is quite exciting, it also requires strong survival skills and sense of self. 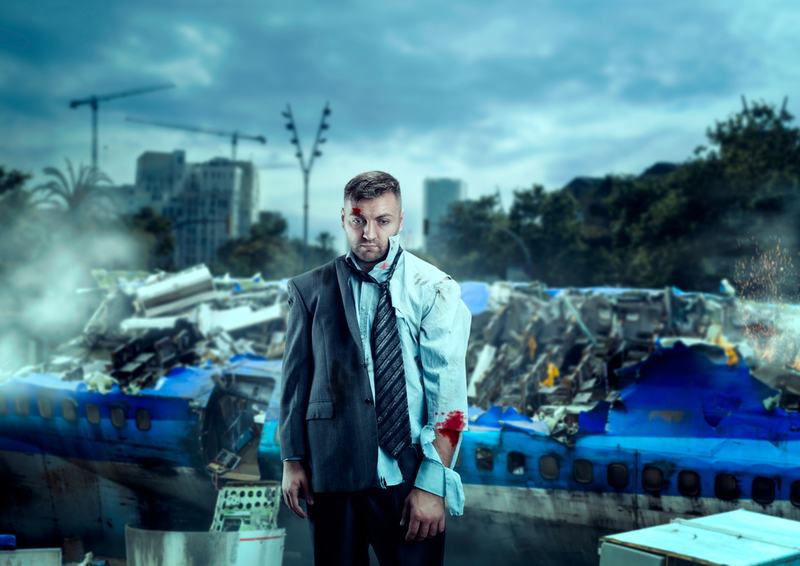 Many are not prepared, but there is nothing to worry about because this article provides a few ways to spare yourself when the zombies come knocking. They managed to claw their way from their cold graves, but that is as far as they’ll get if you use this information the right way. Take this opportunity to become a leader in ending the zombie takeover of the planet and leading your team to hero status. To better answer that question you have to take a stalk in how prepared you are to fight off ultimate doom. If you want to be a zombie apocalypse survivor you must have the proper equipment and team in place to go with the right training. Old episodes of the s﻿﻿how Walking Dead won’t get you there alone. Take the time to put together a zombie survival checklist and write out your operation plan for when those wild intruders start coming out of the woodworks. Do you have the right gear in place to fend them off? Be strong and courageous knowing you have prepared yourself well and have the right team in place to take out any zombie attack that comes your way.